Yesterday I was so giddy! So happy! PA had come for our new son. I have wanted to adopt from China for so long I can’t remember when that dream started. But I always figured we never could. We weren’t rich enough. We weren’t skinny enough. We didn’t….. you get the idea. My mind always came up with reasons. But now I am and I am THRILLED! So Thrilled! I am loving every step of this process! I am so excited!!! I can’t wait to be there, to experience it ALL! Thrilling! Look at these!!! The first is a letter I wrote to the CCWA – it’s in Chinese!!! Those last few characters on the right at the bottom are MY NAME – in Chinese!! And the second is my pre-approval from the CCWA! So thrilling!!!!! If I could do cartwheels, I would!! And then today we had a follow up with neurology and I have been crying ever since. And I’m not a crier. I live on a see-saw this week! He agreed that it was probably a motor tic, but with Alex and his complicated brain, he did NOT want to assume. He wanted a 24 hour video EEG. Yes, I know exactly what those are from Cyndi’s Michael (my nephew). But my dear doctor, we can’t even do an EEG because we have this little thing called autism and extreme sensory issues with having leads stuck to our head. So that was out. Instead I am to monitor and see if there is any correlation between anxiety and the tics or sensory input and the tics. Fun times for me ahead!! That was pretty much the visit and we would have been fine, maybe even made it to OT if I haven’t thought to ask one more question. When Alex was a baby, no one sat me down and said, “Mrs. Turpin, your child will never….” In a way that is good. I was given instructions about his shunt and was sent to the airport with this sweet boy. We went home and loved our new baby with abandon! And dreamed many wonderful dreams for his future. The death of dreams is extremely painful. There are no nerve endings involved, but oh, the pain and agony of a destroyed dream for your child. Let me be totally clear – I adore my son. I love him just the way he is. But I dream for my children. I push, tenderly, but persistently, and what amazing outcomes I have seen. Look at my Bella. Seriously, people look at me like I’m lying if I chance to tell them where she was a few short years ago. But I guess while hearts can be surgically repaired, and lungs grow new tissue, brains do not heal the way I would want them to. Today I asked for the “your son will never” talk. I need to know. I am being asked to decide what school placement would be appropriate for my son for next year. A committee looks at him, scrutinizes him, and then we come up with appropriate goals for the next year, but for some crazy reasons, I have been left with the placement decision. So I ask the neurologist. And I got the truth. Gently and kindly spoken, even tenderly, he told me the truth. 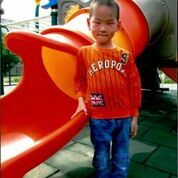 He said, Alex is intellectually disabled, although he is not old enough to receive that diagnosis, he is still intellectually disabled. He should be given the best medical care available and therapy to the fullest extent possible. My son will need a guardian as an adult, he will not be able to make the important decisions for himself. He will need assisted living. He will work one day, in a sheltered and none demanding job. MRI and CT results were translated into English today. The three worse phrases heard: missing brain, brain damage, global. It really is surprising he doesn’t have cerebral palsy. So very, very different from my dreams for him. Seriously, Shelly, what were you expecting? Well, his therapists and I have been seeing so much progress of late in his communication. I expected him to talk one day. With his increased ability to communicate, I expected his self injurious behaviors to disappear, after all they seem to be a direct result of his inability to communicate his needs and wants. Give him communication and all the world’s problems are solved. He understands what we say to him – you can tell because he reacts to our words. I expected language to open up his whole world. I was holding out for things to start clicking, for him to be able to one day serve a mission for our church, and even marry. My dreams and the doctor’s vision of his future are polar opposites. But, I am not giving up. Alex will have the best of everything! He will be the best Alex he can be! I will make sure everything is in place to help him be that best Alex. He is my son and that is what I do. I do know that Alex is awesome. He is a fantastic kid. He is sweet and loving (I am lucky – super blessed there with the Autism diagnosis for him to be cuddly and sweet.) He learns and progresses – at his own pace. No matter how far – or not – my boy goes, he will be happy. That is a promise that will never die or be destroyed! Thought I’d do an update on everyone. Bella is still super dramatic (where is the theater? ), super cute, and super amazing! She is so, so adorable!!! I am so lucky I get to spend so much time with you Ellie! !